Adorable wood sign!!! Perfect for anyone that likes to stay busy! 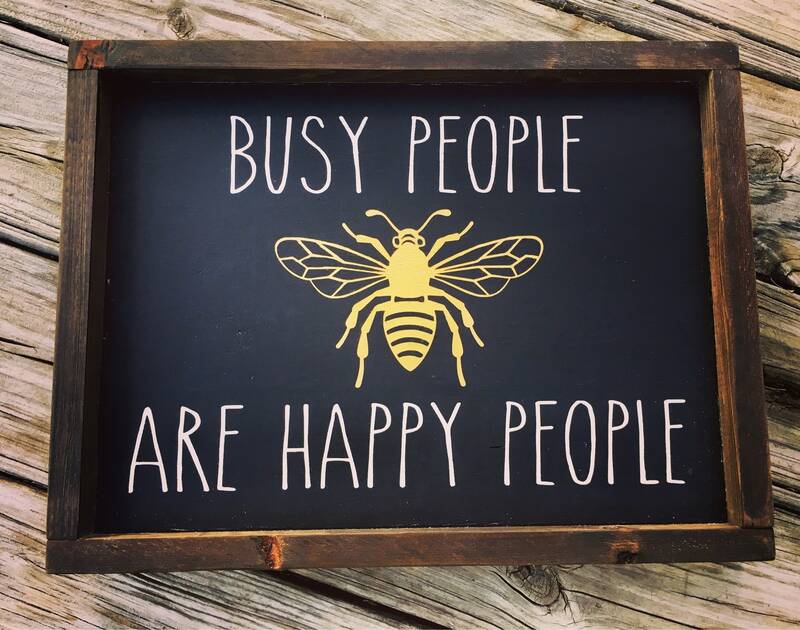 🐝 Hand painted on solid pine. Background is back with light ivory letters and a metallic gold bee. Surface is lightly distressed. 🐝 Frame is cut from reclaimed wood and stained a rich dark walnut brown. 🐝 Ready to hang or also stands alone on any flat surface.